“If a person suffers a traumatic brain injury during his or her lifetime, what is the risk of developing dementia? Some of the answers might be found in this comprehensive dataset," said Dr. Richard Ellenbogen, a UW Medicine neurosurgeon and UW chair of neurological surgery. (Click to enlarge.) 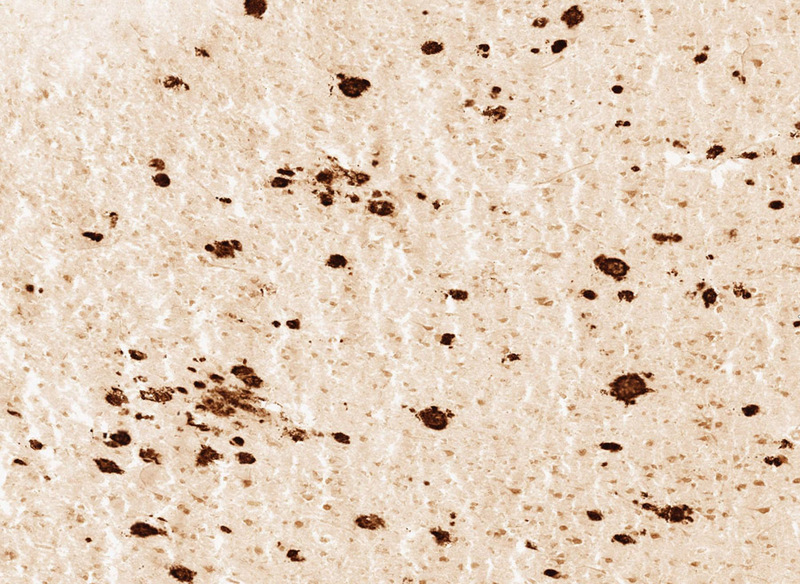 Thioflavin-S staining of a brain tissue sample reveals amyloid plaques and neurofibrillary tangles associated with Alzheimer’s disease. Research to create this resource was funded with a $2.37 million grant from the Paul G. Allen Family Foundation to the University of Washington.